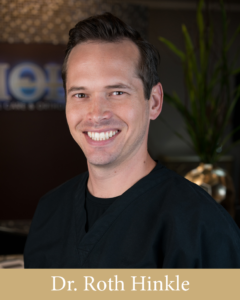 Dr. James Holt, DDS, and his associate, Dr. Roth Hinkle, DDS, are renowned for their mastery in dental skills, and their service to patients worldwide. Based in Southlake, Texas, Holt Dental Care can complete all phases of dentistry, saving you time and money. 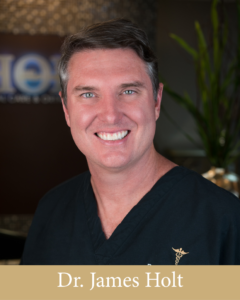 Dr. James Holt, DDS, is one of the leading accomplished cosmetic dentists in the Dallas/Fort Worth area. 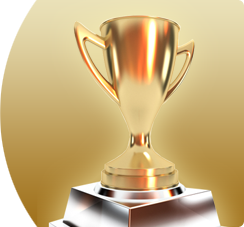 His accolades are numerous, including recently being named Top Invisalign® General Dentist for Dallas and Tarrant Counties. Invisalign® is a modern way of straightening teeth that uses a set of aligners customized exactly for your teeth. Virtually invisible, Invisalign® clear braces allow you to straighten your teeth inconspicuously, and attain that beautiful smile you’ve always wanted. If you’ve lost a tooth to accident or illness, rest assured there are dental implant procedures to restore your smile. Dental implants are a way to replace a single tooth, several teeth or to support a full set of dentures. Interested in learning more about dental implant costs, procedures, and how your smile can be transformed? Get the dazzling white smile you’ve always wanted fast at Holt Dental Care. Dr. James Holt is an expert with teeth whitening procedures using the fast and effective Philips Zoom® Advanced teeth whitening system. Zoom® can whiten your teeth up to 8-12 shades vs. the 2-3 shades you get from over-the-counter products.